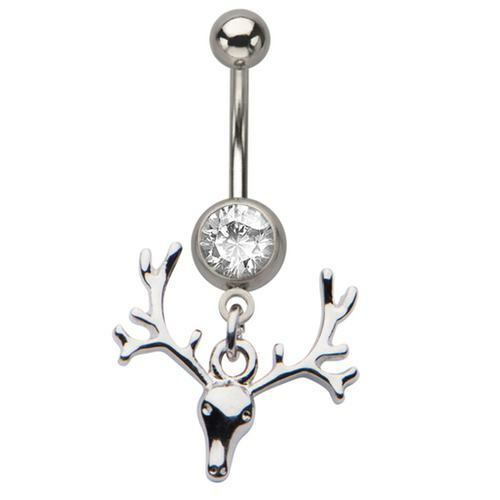 All dangles are made with magnetic heads so that they will not add any trauma to the piercing. They are fully rotational 360 degrees, so the dangle is always in the right place. 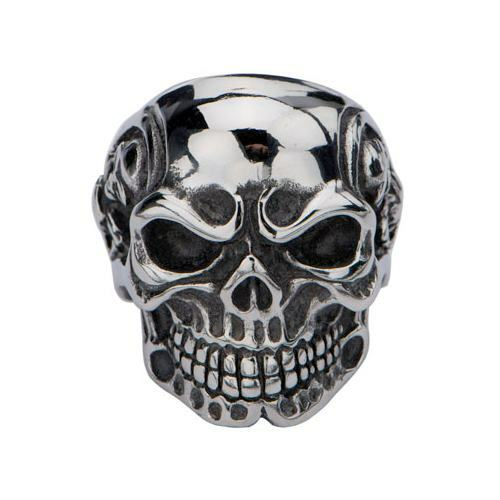 All dangles heads are G23 titanium TI 6AL-4V ELI with a magnet. 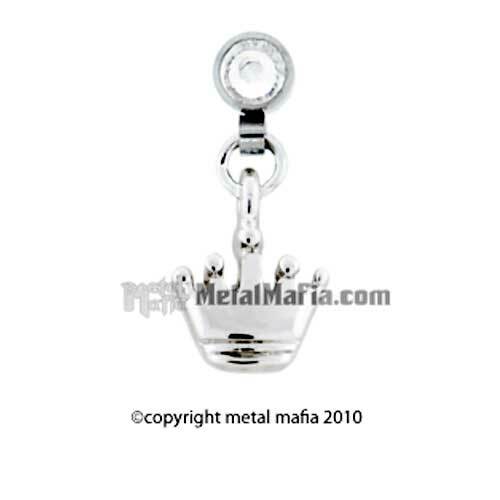 Detachable dangles are base metal with rhodium plating, thus not MRI safe. 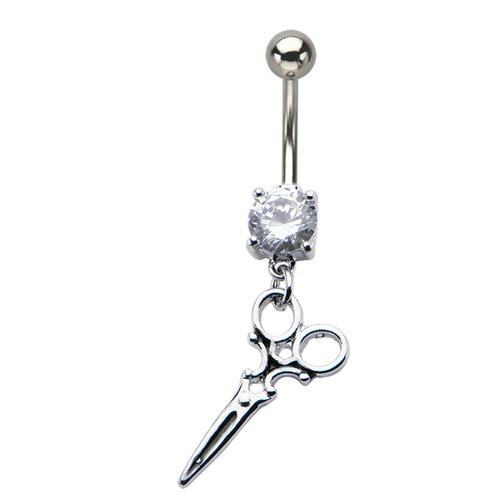 Only use on healed piercings. 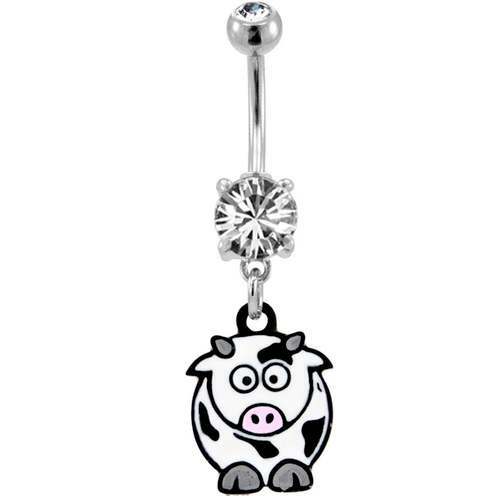 14G 3/8" clear prong set belly ring with a cute dangling cartoon cow. 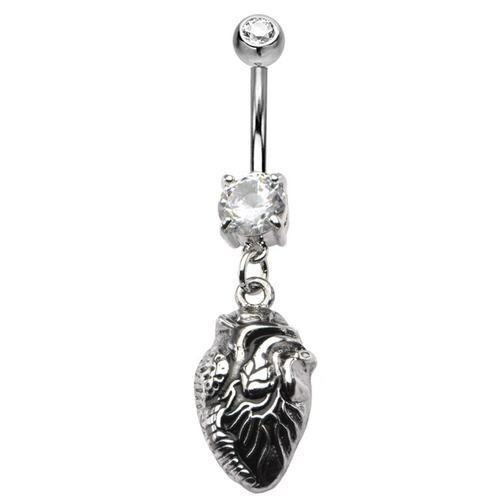 14G 3/8" Red prong set tattoo inspired belly ring with dangling silver sword piercing a heart with blood dripping with a banner saying "forever and ever"
Cast White Brass Faux Cimex Septum Jewellery. Made from Cast Italian Brass. Brass is not meant for long term wear. May oxidize under extreme moisture conditions. Cast White Brass Faux Lucus Septum Jewellery. Made from Cast Italian Brass. Brass is not meant for long term wear. May oxidize under extreme moisture conditions. 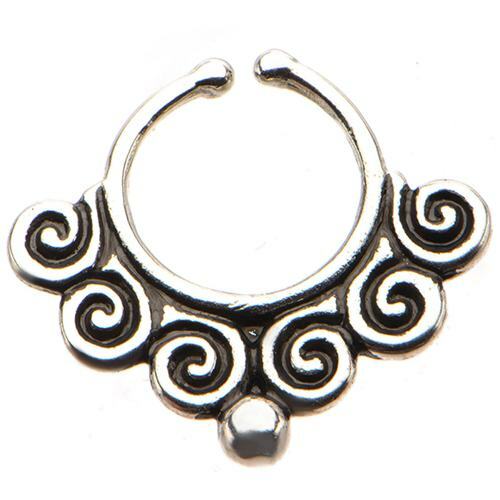 Cast White Brass Faux Wisp Septum Jewelry. Made from Cast Italian Brass. Brass is not meant for long term wear. May oxidize under extreme moisture conditions. 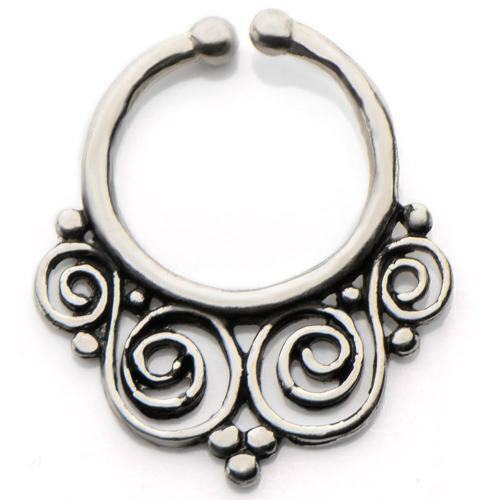 Stainless Steel Faux Septum with CZs and Bead Bottom. 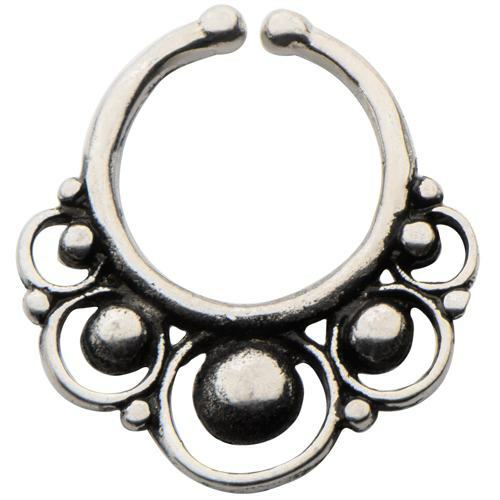 This Faux Septum Piece has a 10mm Diameter. Made from 316L Steel to withstand long term wear. 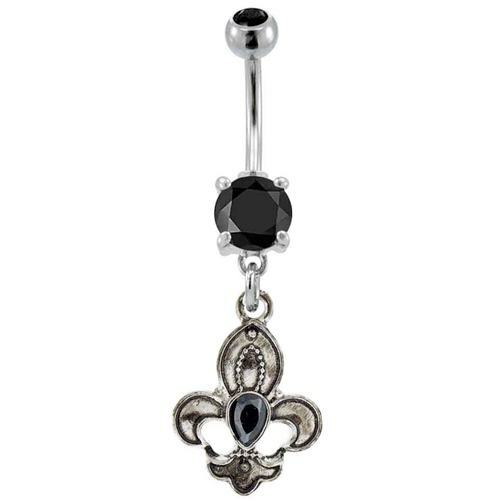 14G 3/8" Black prong set with dangling tarnished silver fleur de lys with a black gem. 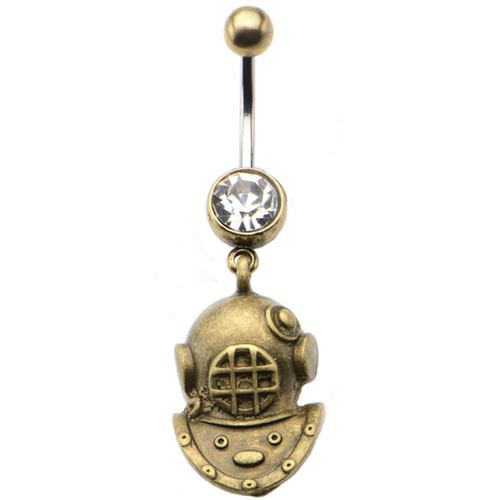 Titanium microdermal magnetic disc base. 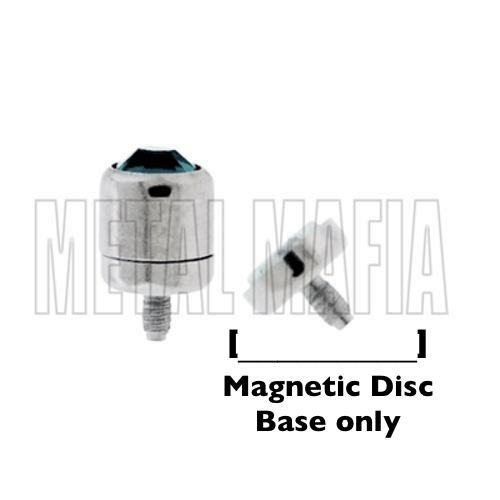 Magnetic disc for microdermal base sold separately from gem heads. 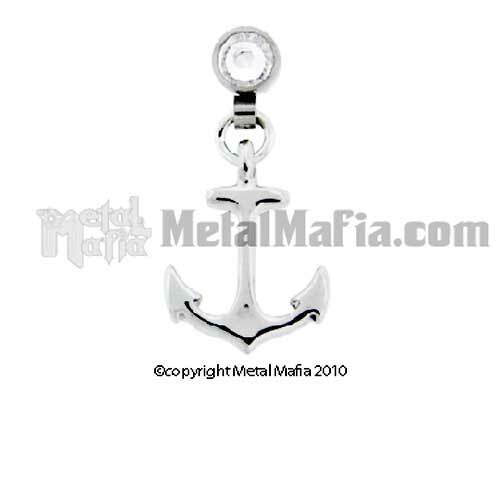 Available in 4mm and can be used with our Metal Mafia microdermal gem heads and dangles. Will fit 14 gauge anchors. Do not autoclave. 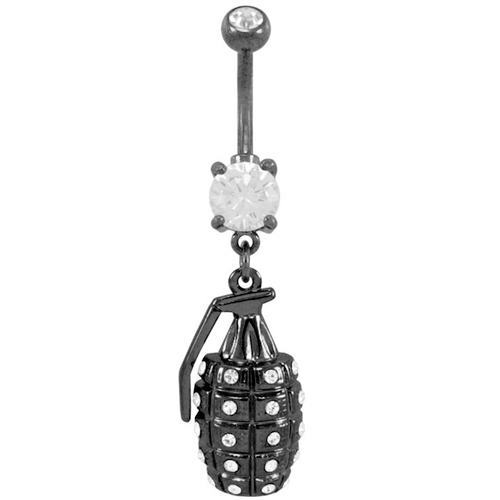 For use only on healed piercings. Implant grade 23 Titanium - TI 6AL-4V ELI- ASTM F-136. This is the base disc only, photo is for illustrative purpose only, you will need to purchase a magnetic gem top if you have not got one already. 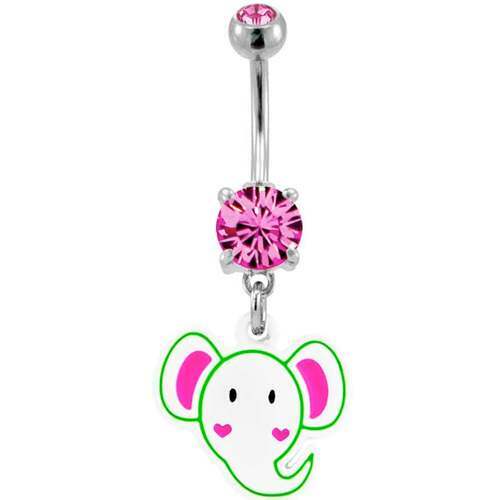 Also can be used as a replacement base for microdermal dangles. 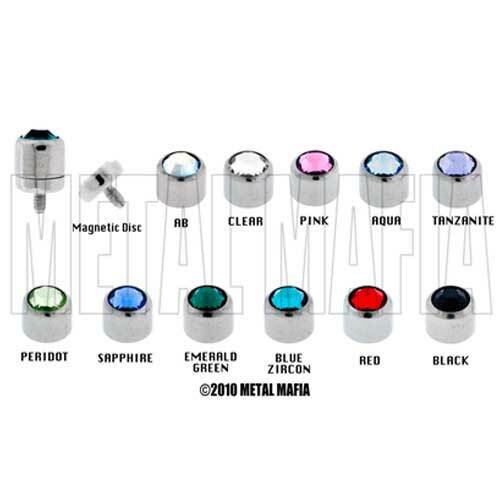 G23 titanium microdermal magnetic gem top disc. This magnetic gem disc will break away without damaging the piercing. Our 4mm gem tops are available in AB, black, clear and red. Require a magnetic disc base. 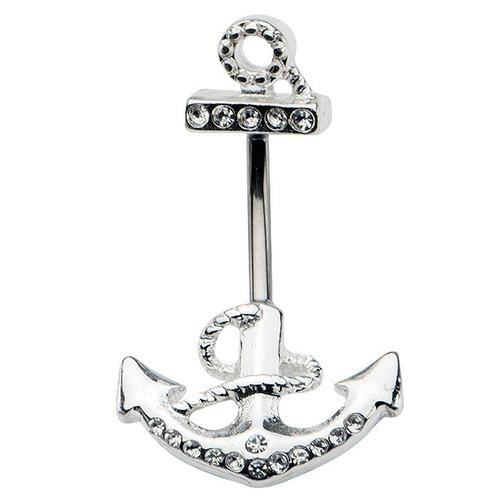 Fits the MD anchor base. This is the gem disc only, you will need to purchase a magnetic base disc if you have not got one already.